Hello! We are pleased to announce the qualifiers for the 2018 IORMC to be held later this year. The IORMC is the International Online Riichi Mahjong Championships. Originally held in 2011 as an exchange between South Korea and Japan, it has now expanded to 16 countries from all around the world. The US has been steady finishing 6th/6th/7th over the three years of its participation, while Canada has finished 10th & 9th over the last 2 years. In addition, in the inaugural individual competition last year, both countries were able to send a representative with George Liu-Krason (USA) eliminated in the quarterfinals, while Simon Chen (CAN) made it to the finals and finishing 3rd after a reverse finish in the 2nd hanchan made the results very close between all 4 players. In order to participate for the US or Canada, you must have permanent residency or citizenship. *The individual competition will comprise of the top 16 individual finishers of the team competition. Qualifying format will be unified for both countries. There will be 5 sessions, each session consisting of 4 hanchan. Average of all games played (in event of byes needing to be handed out) will be used to calculate the top 4 and alternates. Minimum of 2 sessions are required to qualify, and a participant's lowest session is dropped if they play at least 4 sessions. 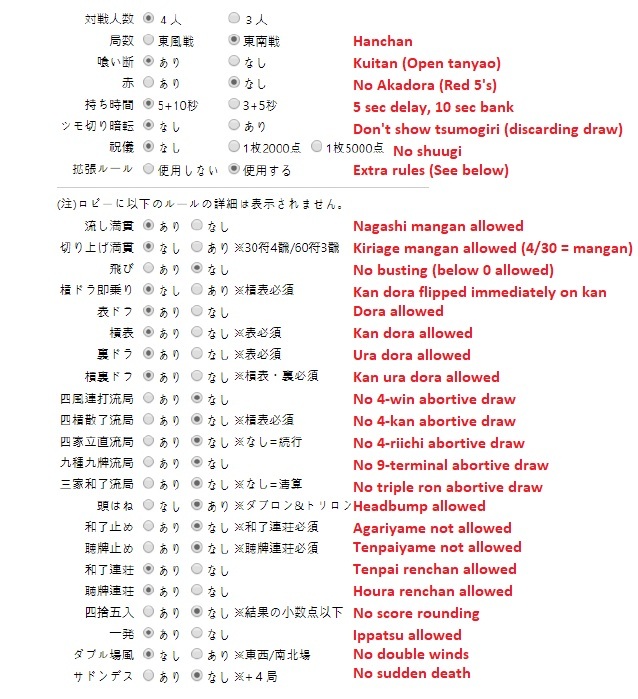 All qualifiers will be on Tenhou. Registration for any individual qualifying session will end at 2359 PDT the Thursday before the qualifying session.